Now You Can Enjoy Delicious Alkaline Water Right From Your Own Sink. 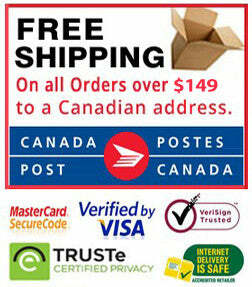 Water Ionizers are a powerful solution for the negative effects of drinking tap water. Not only do water ionizers filter out the chlorine and heavy metals, ionized water has a much higher pH level which is important for overall health. Your body will have more effective hydration because water ionizers "micro-cluster" the water so that it's easily absorbed into your body. Another massive advantage of drinking ionized alkaline water is that you're also giving a daily supply of powerful anti-oxidants into your body. 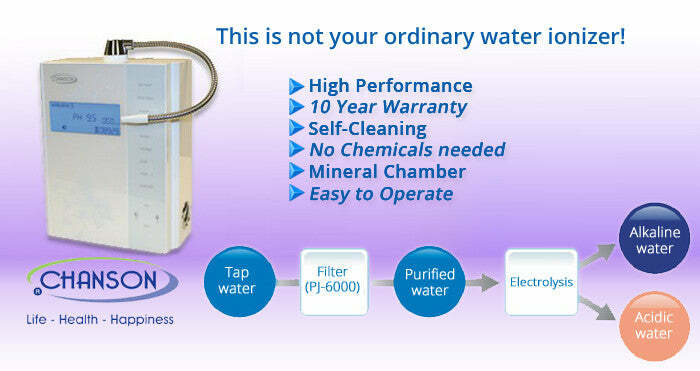 Alkaline water ionizers purify and ionize ordinary tap water to create healthy water. The ionizing process is fairly simple. The water from your tap is first purified as it goes through an active carbon filter and then it goes through a process called electrolysis. During this process where water runs over positive and negative electrodes inside a chamber with titanium plates. These positive and negative charges separate the alkaline and the acid in the water creating two different water streams. The acid water produced by the ionizer is usually discarded and we drink the alkaline water. Ionizers changes the frequency structure of the water and the result is easier absorbtion by the body. Do you know that 90% of North Americans are chronically dehydrated and this contributes to a a huge list of health problems? Scientists have proven that diseases like cancer thrive in an acidic environment. Drinking 9.5 PH water from your Chanson Ionizer is 500 times more alkaline then ordinary tap water plus it's free of chlorine and heavy metals. Chanson water is very similar to Kangen water. The term water ionizer isn't so easy for many people to understand so a lot of people call water ionizers "Kangen water machines". Installation is easy. You can be enjoying high quality, fresh tasting water from your own sink. When you're properly hydrated your body functions better and most people report increased energy and vitality. Other reported benefits include: greater mental focus and enhanced memory, stronger immunity, faster recovery from injuries and less aches and pains. 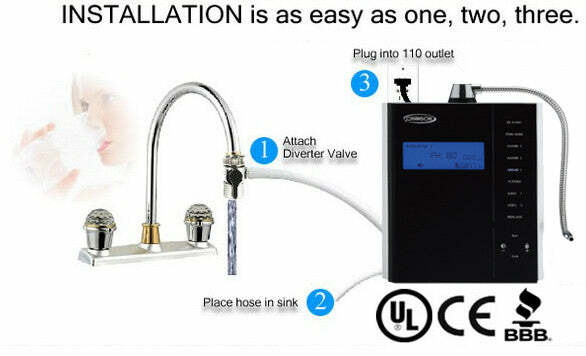 Water Ionizers are appliances that attach to kitchen faucets or water lines and perform electrolysis on the tap water. Electrolysis separates the acidic portion and the alkaline portion of the water - the acidic water goes down your drain and the alkaline water goes into your glass. We recommend starting with 8.0 PH water and slowly working your way up to 9.5 PH. The water from your tap is first purified as it goes through an active carbon filter and then it goes through a process called electrolysis. During this process where water runs over positive and negative electrodes inside a chamber with titanium plates. These positive and negative charges separate the alkaline and the acid in the water creating two different water streams. The acid water produced by the ionizer is discarded and we drink the alkaline water. Ionizers changes the frequency structure of the water and the result is easier absorbtion by the body. Ionized water has strong antioxidant properties which prevent free radical damage to cells. Water ionizer machines produce hydroxyl ions which can neutralize free radicals in the same way as other antioxidants like Vitamin A and C.
*If you currently have health issues or are pregnant, you are advised to only drink 8.0 PH alkaline water. If you have any doubts whether any recommendations on this site are right for you, consult your local doctor or naturopath. I love my water ionizer, feeling way better from drinking the water! !